Floral booties and my Irish summer - Once Upon a Time..
As soon as there is some sun, here in Ireland, you have to go out as quick as possible. Staying at home means losing a precious rain-free and wind-free day of heat. Do you understand what anxiety I have here?? Not only that, but that light jacket stuck in the closet, those boots that are not waterproof at all, those new sunglasses that you haven’t wore yet.. They must be worn together immediately, instantly, who knows if there will be other occasions! 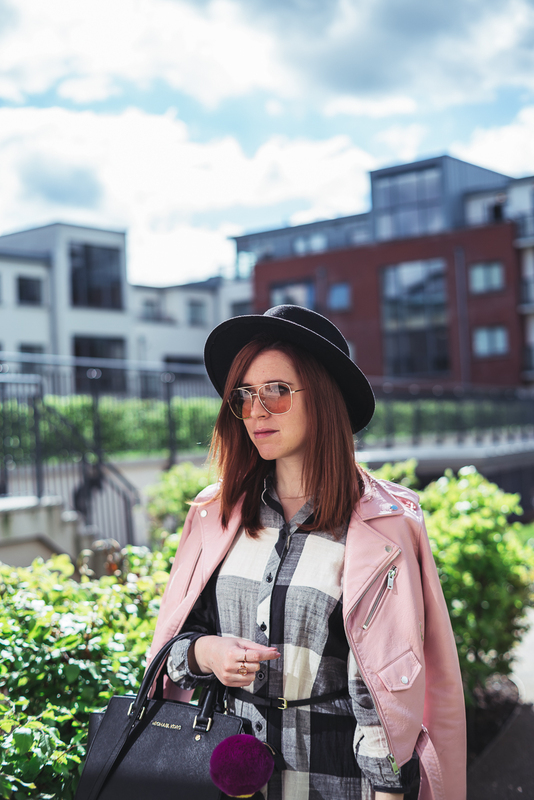 So it happened the other day, when I wore my long blouse with the pink leather jacket, you know that, it’s the famous Zara jacket that a few years ago made so much sensation because everyone had it, that’s all + me. I am fond of it because for me it is the symbol of spring and summer nights, being able to wear it, means that a beautiful season have come! 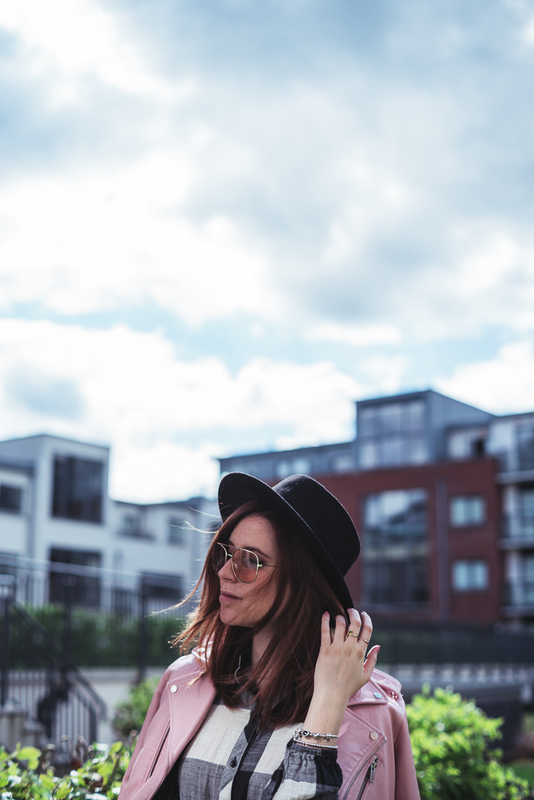 For such a simple look, I combined a wide-brimmed hat, my new clear-lens sunglasses – my recent obsession – and my new purchases, these floral ankle boots. I love them, because they have the right balance between the romantic (floral) and the rock attitudes, on the other hand the rock-ish shape of Jeffrey Campbell booties is super recognizable, isn’t it? I don’t often wear them because they can potentially be ruined with water, given the embroidery of the flowers, so I could not resist on the other day. I love these floral booties also because they look good on various looks. They give a twist on a more serious look and are perfect even on classic jeans. I imagine them under a skinny jean with a white t-shirt and a leather jacket, or even to finish a hyperfeminine short dress. What do you think of my ideas? I leave you to these photos, between the fluorescent grass and the bright bushes, typical of the Irish landscape. And you, do you like my new shoes? How is the weather there in your city? High waist animalier jeans: how to wear them! Shop Pink Sneakers, Pumps Heels Shoes, Black Graphic Tees, Knit Dresses and more. Get this widget.